There are several reasons why a buck bed would be a good place to start if you were looking for ways to make your land more appealing to deer. Maybe you don’t have the land or resources needed to create a plot. Maybe you just don’t want to sink money into a plot plus new equipment, plus trail cams, plus whatever else you’re updating this season. If you haven’t gotten a Sweeney feeder, timer, or other accessories within the last few years, you may need to revisit those items and see if they need replacing. You could consider a solar charger for longer term use of your feeder, but we digress. The point of this post is how to make a buck bed, a lower cost way to make your land more inviting to our cautious forest friends. We’ll run through several tips you can use to get started or how to improve your bed(s). Deer need to feel safe. We all know it. They spook easy, they flee easy, and that’s something we want to avoid. The beds you create should be high up enough that they are easily drainable, they are easy to keep watch from, and they are easy enough to escape. Some experts think beds should be NO INTRUSION, not just minimal intrusion. Bucks will be most comfortable in beds of that security level. Also keep in mind that deer have natural predators that you need to control for as well. Find out state regulations about trapping your competitors. 2. Use hinge cut trees and branches. This allows for significant cover for deer while the trees continue to produce leaves and keep growing for several years. You mastermind how you want the trees to be situated. Make sure there at least 2 or 3 escape routes built in, and that at least a little sunshine is able to penetrate to the forest floor. 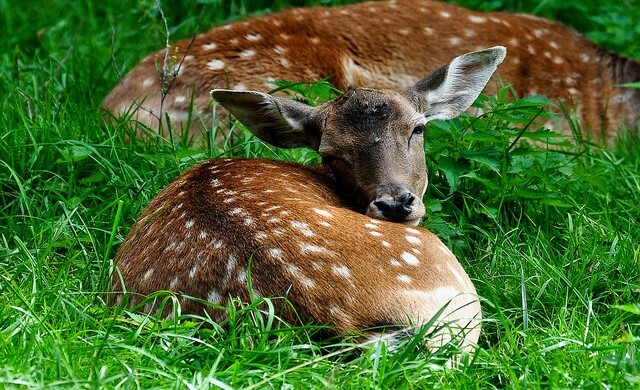 In winter, deer will want to bed on grasses, and grasses will not grow where there is no light. Imagine you are going to place tent for yourself on the spot where you are going to make a bed. Do all the necessary work to create a nice place for you to sleep along with some . That means no rocks, no twigs, and no bumpy turf. This part may require you to pull out some garden tools and get dirty. Don’t put all your eggs in one basket, or all your deer in one bed. Make 2 or 3 beds within the same area that your stand will cover. Having your Sweeney feeder within reachable distance of your new beds might not be such a bad idea, either. Happy hunting! Make sure you will visit FootwearGeek‘s website for more information on related products.